Welcome in a small paradise on the sunny side of Freudenstadt in the middle of the Black Forest. The quiet location and proximity to the town offer a good mixture of relaxation and adventure. Enjoy tastefully furnished apartments in a well-tended house. Uncomplicated hospitality and a heartly atmosphere will easily make you feel comfortable. 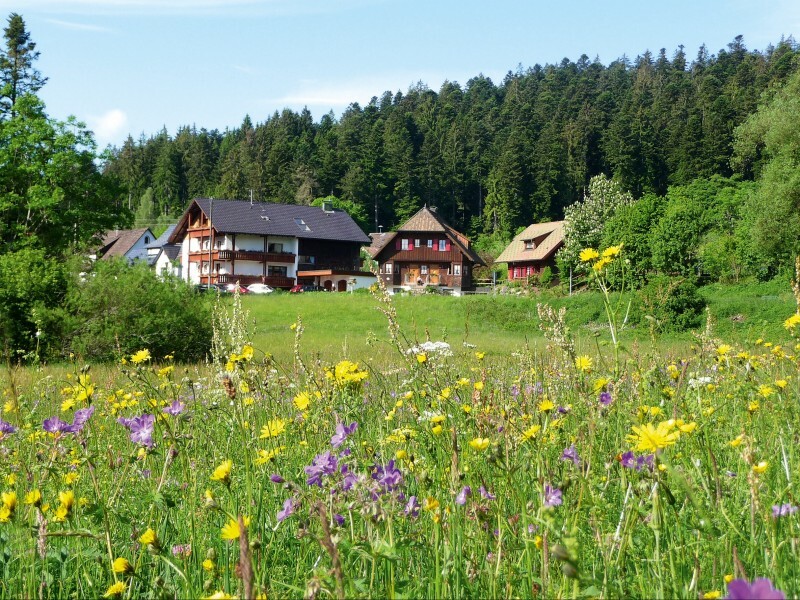 The houses are built in a typical blackforest-style. The residences guarantee a homelike atmosphere and allow an individual holiday where you will feel well. Price for the 3 room house: for 2 persons 80 €. * hiking, exploring woods and meadows, enyoy our nature, jogging, horse-riding, carriage ride ...feeling free! * cycling on special forest and meadow routes. The area is bigger than your feet possibly peddle! * An 18-hole-Golf course is located only 2 km away from our house. * In Fredenstadt you will find the Panoaramabad- a big swimming hall for all those who like swimming, having fun, wellness and sauna.